In Jack Radetsky's paintings, people are never shown but there are reminders of human activity. What was there and what is now invisible are important as the image that is retained on the canvas. 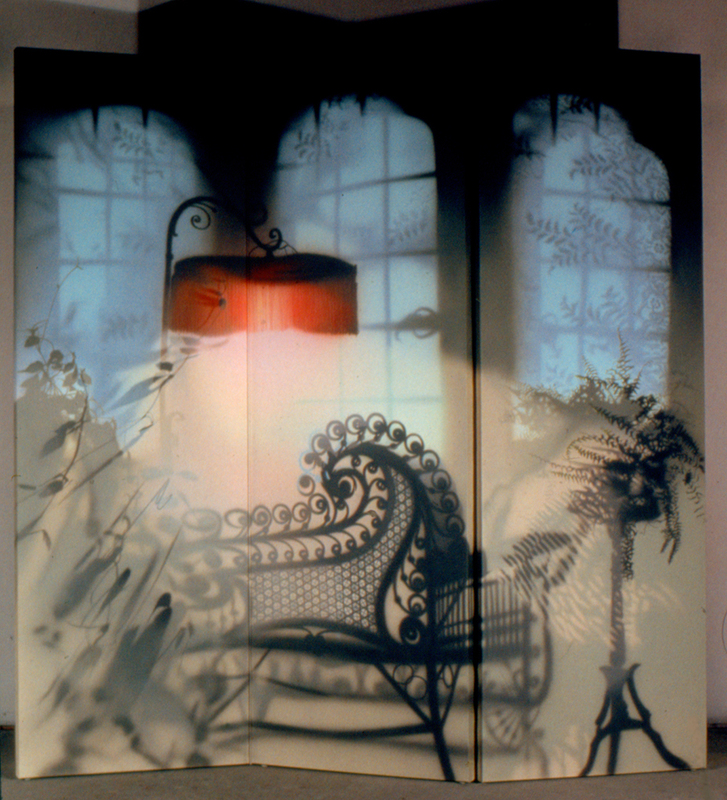 Lights and shadows become the evocations of life style. 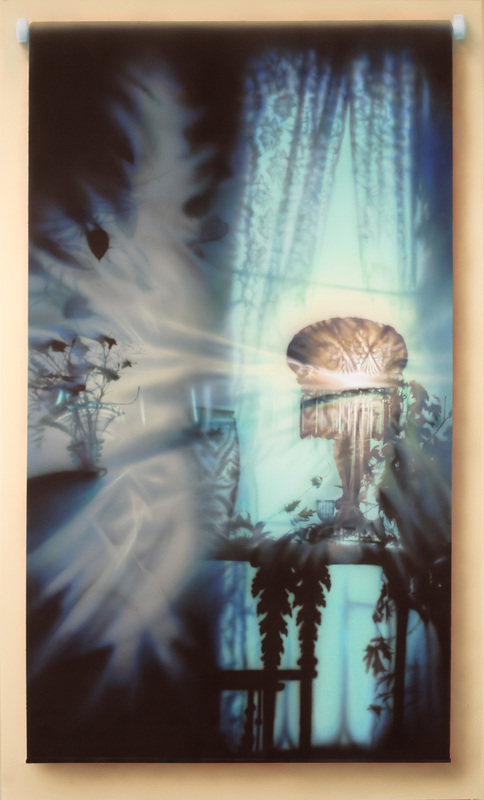 Radetsky composes behind a three-piece scrim of cloth, varying lights and arrangements of objects until the composition coincides with the image in his mind....After the initial astonishment that Radetsky's paintings are not real, it is the quality of the light that holds the viewer. Radetsky is a pure romantic in his use of light. While his paintings cannot be compared to the work of any other artist at any other time, in their evocation of emotion they remind me of the effect of Vermeer or Hopper or certain poets. When I think of Radetsky's paintings, I also think of the novels of Edith Wharton and the poems of Sara Teasdale.